How you are billed for your subscription of The Journey Home™, our Global Membership Program. Membership subscriptions for The Journey Home™ renew automatically (auto-renew) at the completion of the chosen membership subscription billing period (either 3 or 12 months). This prevents disruption to running services. The auto-renew billing cycle continues indefinitely unless you sign-in and manually choose to ‘toggle off’ the auto-renew. If you toggle off the auto-renew, you will not be billed again and your membership subscription will not renew at the end of the billing cycle. If you change your mind, you can toggle the auto-renew back on at any time within your subscription period, to continue on with your subscription billing cycle. Changes cannot be made to your membership subscription during the course of it i.e. if you wish to upgrade from 3 to 12 months, you will need to wait till the 3 months are up, before you can make the change. Likewise, you cannot downgrade from 12 months to 3 months, until your membership term is over. PLEASE BE AWARE that if you choose the ‘cancel my subscription’ link you will immediately revoke your access to The Journey Home™ and all supplementary material. We do not recommend that you do this. If I wish to disable the auto renew feature / cancel my subscription, how can I do this? 1. 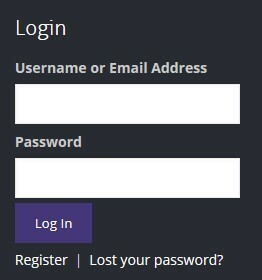 Scroll to the bottom of the page and provide your details in the login box to log in. 2. Or you can go to http://www.leeheiss.com/wp-admin/ to log in. To change your email address or password, simply login to your account. 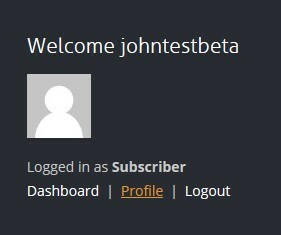 Then click “Profile” (or go to http://www.leeheiss.com/wp-admin/profile.php). From there you can change your email address and/or password. To reset your password go to: www.leeheiss.com/wp-admin/ Type in your email address and complete the security check. We will then send you an email with a link to reset your password. Please remember to check you spam / other / junk mailbox for the password reset email. I have subscribed, how do I contact Lee Heiss Coaching regarding my subscription?